"Oyasumi" he said, using her native Japanese. "Goodnight", she replied in English, the language of his North Carolina childhood. "We did this so we would never forget who we really were, and where we came from," Jenkins wrote in his memoir. Theirs is a dark, strange, compelling tale - and finally, a love story. Jenkins knew defecting was risky, but figured he would claim asylum at the Russian embassy and make it home in a prisoner swap. He would later write: "I did not understand that the country I was seeking temporary refuge in was literally a giant, demented prison; once someone goes there, they almost never get out." Jenkins was held in a Spartan single room with three other GIs who had deserted since 1962 - Pte James "Joe" Dresnok, a 6'5 giant of a man; Pte Larry Abshier - believed to be the first US soldier to defect to the North; and Cpl Jerry Parrish, just 19 when he went over, who said that if he ever went home to Kentucky his father-in-law would kill him. The four were forced to study the teachings of then-leader Kim Il-sung for 10 hours a day, and beaten regularly by their captors. Desperate - and desperately bored - they tried to make their own fun "stealing government property, or going on daredevil hikes," as Jenkins wrote in his book "The Reluctant Communist". In 1972, the defectors were finally given separate homes and declared North Korean citizens - though they still endured constant surveillance, beatings and torture. 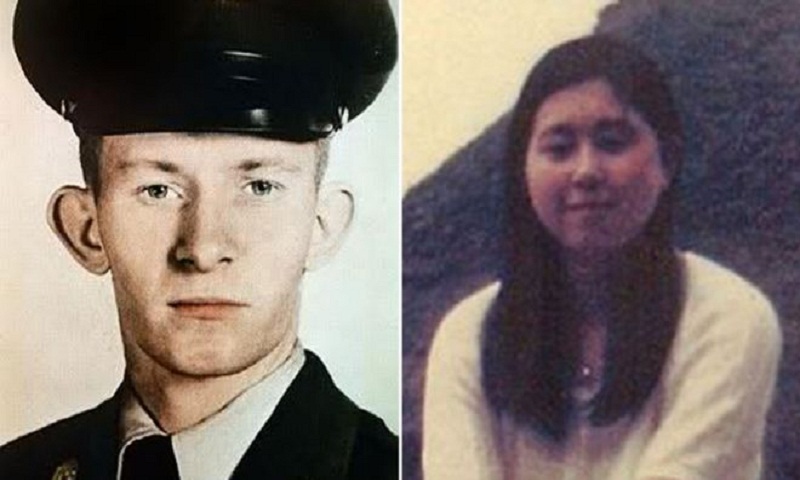 Hitomi Soga, who would become Mrs Jenkins, was a 19-year-old nurse in 1978 when she was seized from her home island of Sado, off Japan's west coast. She had been kidnapped to serve as a teacher, training North Korean spies in Japanese language and behaviour. Ultimately, her nationality would buy her husband a future he could never have dreamed of. When the pair wed in 1980, Jenkins had spent 15 years alone in Pyongyang's frosty embrace. He later told CBS: "I'll put it like this. I looked at her one time. I wasn't letting her go." The newlyweds had nothing in common but a passionate hatred of North Korea - yet gradually, they fell in love. Kim said eight had died (a claim questioned by Japan), but agreed that five survivors should be sent back to Japan for a 10-day visit. They were two couples, and Hitomi Soga - minus her husband. Two years after Ms Soga was repatriated, he could stand it no longer. Jenkins and their children flew to Indonesia - which has no extradition treaty with the US - to meet her. Pyongyang had only sanctioned a brief visit. But with the encouragement of Japan's then Prime Minister Junichiro Koizumi, the defector said he would risk a court martial and death in prison in order to reunite his family. "Sir, I'm Sergeant Jenkins and I'm reporting," he said. Jenkins broke down after his release, sobbing: "I made a big mistake of my life, but getting my daughters out of there, that was one right thing I did." All three of Dresnok's children, and his third wife, featured in a 2006 British documentary film about him, Crossing the Line. Siham Shraiteh appeared too, insisting that she was never kidnapped and had stayed in North Korea with her children by choice. It is not clear if she was speaking under duress, but criticism of the Kim regime would certainly be dangerous for a foreigner. Dresnok, the last known US soldier living in North Korea, died of a stroke aged 74 in late 2016. "I have never regretted coming to the Democratic People's Republic of Korea", he declared in Crossing the Line. "I wouldn't trade it for nothing." Charles Jenkins was the only one of the four 1960s defectors who set foot outside North Korea again, reports BBC.